Below enlisted homemade masks solves dry hair issues and makes them more silky and shiny. Dry hair needs special care and this is delivered by special natural ingredients. These homemade hair masks unleash natural essential nutrients to protect and repair them. Here we introducing hair mask for dry hair. 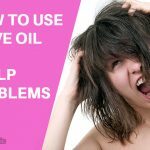 Gently heat the olive oil and rub it into your hair roots and evenly distribute it throughout entire length up to tips of hair. Put on a head cap for 1-2 hours then wash off oil. Olive oil can be used in all the masks for dry hair. Today beauticians recommend the using some types of nutritional oils for proper hair care. These oils provide good nourishment and accelerate their growth. Heat yogurt to a temperature of 37 degrees and apply it to hair with circular movements and rub it into the hair roots. Wrap your head with cellophane and a towel, after 30 minutes rinse hair well with warm water. This mask provides moisture to the scalp and gives a glamorous shine. Dilute 1 or 2 tablespoons of vegetable oil with 1 spoon of sea buckthorn oil. Rub the oil obtained into the roots of the hair, put on a cap upon your head for an hour, later wash off with shampoo. This must be continued for 2 times per week. In a glass of beer add 1 spoon of olive oil (almond oil also may be used). All this must be mixed well and applied to hair. This can be washed off after 20 minutes. This mask treats split ends and gives hair a smooth texture. Vitamin B contained in beer not only restores the hair structure but also greatly accelerates their growth. Take 1 tbsp. burdock oil, 1 tbsp. of aloe juice, 1 h. spoon of honey and mix everything thoroughly. Rub the resulting mixture is into the hair roots and wash off the mask after an hour. Mix Egg, 1 h. Spoon of vinegar, 1 h. Spoon glycerine, 2 tablespoons of castor oil is well, apply it to entire length of the hair and rub into the roots. This mask should be on your hair for 30-40 minutes and head should be wrapped with a warm towel. This procedure should be repeated for 1-2 times a week. 3 tbsp. of tincture of arnica. All these components should be mixed and rub into the roots of the hair and spread evenly over the entire length of hair. Hold the mask on the hair for 30-40 minutes and cover head, wrap with a warm towel. This mask can be applied for 1-2 times a week. 1 spoon of shampoo for dry hair. Mix all components and rub into the scalp. Cover head with paper for compresses and wrap a warm towel. Wash this mask after 2 hours with warm water but shampoo might not be needed for this time. Mix all the elements and apply it on scalp, hold it to dry for 30-40 minutes. The same composition can be moistened with cloth that is placed subsequently to the hair. 1 part chamomile and crumb of rye bread. Fill it with 1.5 cups of boiling water and put on for 2 hours. After infusion it is necessary to filter and soften with a crumb of rye bread. The resulting slurry must be applied to the hair and wrap the head cellophane and a towel. The mask should remain on the hair for at least an hour. After that just wash off the hair with warm water. 6 tablespoons of natural yogurt. Mix these ingredients and rub the mixture into your head roots also wrap it with a towel. After 10-15 minutes the mask should be washed off. This procedure can be repeated one time per week. 300 grams of frozen or fresh blueberries. Chop and grind blueberries and pour boiling water over them. After this mass is cooled it can be applied to the hair. Then wrap the hair with plastic and towel. The mask can be washed off after 30 minutes. Mix the two components and apply them to your hair. After 30 minutes the mask can be washed off. Stir these ingredients and apply to the scalp. Then wrap the head with cellophane and a towel. Wash off the mask with shampoo after 10 minutes. half a tablespoon of simple hair conditioner. By mixing these ingredients we beat them lightly and use the resulting mixture as a simple hair conditioner. Crush the nettles, fill it with boiling water and leave it to infuse for half an hour and then filter it. Rub honey and garlic add to the yolk and mayonnaise. Stir the resulting mixture and rub onto the hair roots. Wrap hair with cellophane and a warm towel. An hour later wash off the mask and rinse your head with a mil shampoo. a liter of boiling water. Mixing nettles and horsetail fill them in boiling water and infuse for half an hour to filter. Mix all remaining ingredients and apply them on the scalp. Wrap head with polyethylene and a towel. The mask can be washed off after 25 minutes and rinse hair infusion of herbs already prepared. 1 spoon of liquid honey. Thoroughly mix the components and apply to the scalp. Wear hair cap and wrap head with a towel. After 1-2 hours, wash off your head with warm water. 200 grams of rye bread. Fill crumbled bread with hot water and leave for 6 hours. Then add to the yolks and rub the resulting mush into the scalp. Wrap the head with cellophane and a warm towel. After 40 minutes, wash the hair with water. So these are the various methods to treat Dry hair and the best part is that, most of the ingredients are easily available and natural. Before using these masks, make sure that you do not have contraindications of their use. How to Use Onion Juice for Hair Growth? How to Use Coconut Milk for Hair Growth? 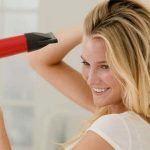 How to Get Rid of Dry Itchy Scalp Naturally at Home? Is Olive Oil Good for Your Scalp? 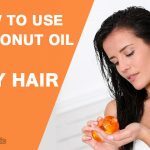 How To Make A Deep Conditioning Coconut Oil Hair Mask & How to Remove It?